Updated 1/26/19. 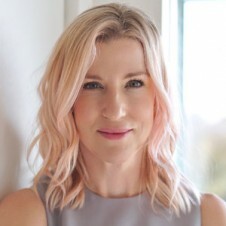 As an esthetician, I’m always asked, “What should I be doing to my skin NOW to prevent wrinkles from appearing later?” In this post, I’ll share why the skin ages and how to help slow it down from appearing as quickly. We’ve all heard someone say, “Look how young he or she looks. They must have good genes.” While we are genetically programmed from birth to age a certain way (called intrinsic aging), genetics are now thought to be responsible for only 20-30% of aging. The other 70%-80% of how you’ll visibly age depends on extrinsic aging. This comes from your environment, lifestyle and skincare choices—all of which you have control over. This is great news because it confirms that how we care for our skin far outweighs our genetic predisposition but it’s all about making good choices. Creases from repetitive face movements (squinting, laughing, smiling, talking, yawning) eventually set in. This ultimately results in lines and wrinkles. Of course, our faces were meant to move, but you do want to avoid facial expressions that are unnecessary such as from squinting. This will accelerate wrinkles around the eyes so be sure to wear sunglasses when outdoors and don’t put off getting your eyes checked. Professional microcurrent treatments are excellent for strengthening the facial muscles. For home use, Nu Face makes a great device to keep up the results. Just like how exercising the muscles in your arms can make them look toned, these treatments can do the same for the skin. I have a Nu Face device that when I use, I like the tightness it gives. When your skin is exposed to UV light, you will most certainly accelerate skin aging. Stop wearing this piece of clothing if you want to save your skin. Smoking starves cells of oxygen, resulting in dull, tired-looking skin. Also, collagen-destroying enzymes (MMPs) ramp up when exposed to tobacco smoke. This dramatically increases how quickly the skin ages. Read more about how smoking affects the skin. Every drug will affect the body differently, but generally speaking, medications and drugs can stress the nervous system. This, in turn, elevates hormones (adrenals) which contribute to the wear and tear of connective tissue, resulting in flaccid, loose, sagging skin. 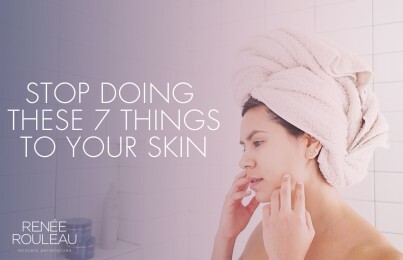 As for alcohol, it’s not doing your skin any favors either. Overconsumption of alcohol causes chronic inflammation and harmful free radical activity which is the underlying of skin aging. Learn more about how drinking alcohol affects your skin. You might be surprised to know that having a profession as a chef or a pilot will look older faster than a profession that requires someone to sit indoors at a desk. See a list of jobs that jobs might age your skin faster. To learn more about how lifestyle choices affect the skin’s appearance, check out what researchers confirmed through two studies of 144 pairs of identical twins in 2009 and 2013. They concluded that smoking, sun exposure, and other factors such as BMI, marital status, and anti-depressants, can age us. 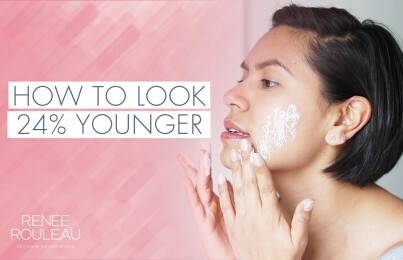 At what age should you start using preventative aging products? Since the sun is the primary cause of premature aging, this makes sunscreen the most biologically active ingredient available. Sunscreen, more so than any other over-the-counter skin care product, has the greatest ability to prevent wrinkles and premature skin aging. 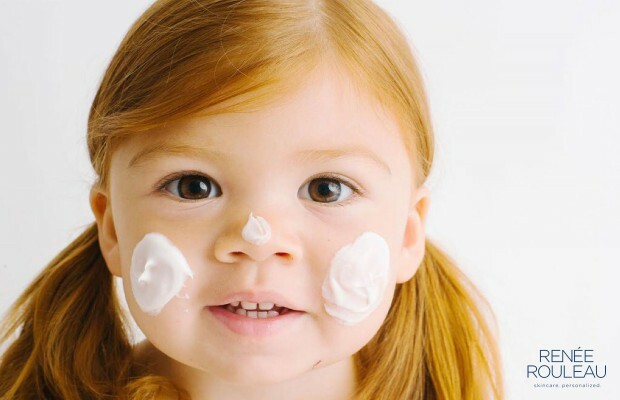 Sunscreen can be applied to children as young as six months of age. (Of course, get a recommendation from your doctor as to the best one for an infant.) This essentially means that the concept of healthy aging begins at less than one year of age. Never too early to start, right? Weightless Protection SPF 30 is the one I recommend for everyday use under makeup. As for other skin care products, a serum is considered a game changer in that it is designed to create positive change in the behavior of your skin. However, depending on the ingredients (such as certain vitamin combinations and peptides), it may not be appropriate for those in their 20s and younger. This is because many serums are formulated to increase the metabolism of the cells. This action is needed for a skin that is showing a lot of signs of aging but may be too active for younger skin and those prone to breakouts since this type of skin already has an active metabolism. What type of ingredients should be in your skincare products for healthy aging? We can now safely speed up the skin renewal process without unwanted dryness and irritation with products that contain retinol. It’s important to note that not all retinol products are equal. 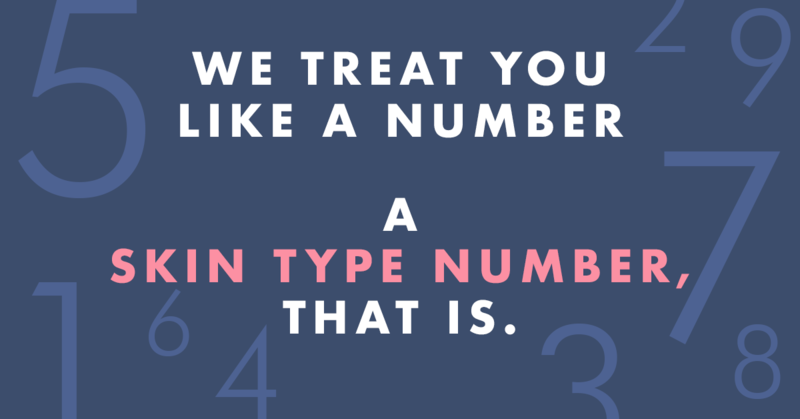 Be sure to look for these four things when choosing a retinol product. Vitamin C has been the most extensively researched antioxidant in skincare. It’s found to be extremely effective in interfering with many aging free radicals found in the environment such as sunlight, stress, and pollutants. It is recommended to be worn daily under a moisturizer containing sunscreen. This antioxidant not only gives your skin its daily dose of healthy aging but it is also helpful with reducing discoloration and brown spots. Vitamin C&E Treatment is an excellent formula for daily use. Here are more of my favorite age-defying ingredients that you should be using in your skin care products. Will anti-aging products make the skin worse if your skin is prone to clogged pores and breakouts? It’s important to know that you must always choose products that are appropriate for your skin type — even when it comes to products that slow down visible aging. Many cosmetic companies assume those who want anti-aging care must have dry skin but this is not accurate. For those who produce oil and are prone to breakouts (like skin types #1-#4), using products for dry skin can be problematic. It is possible for all skin types to preserve their youthful appearance and achieve their skin care goals with the right balance of products. Take my Skin Type Quiz to learn about which products are best suited for your skin’s unique needs. In summary, it’s all about prevention. How you take care of your skin, body and mind now will pave the road for how you will look and feel in the future. Make caring for your skin a priority and you will get the reward of beautiful, healthy skin for a lifetime. P.S. Consider yourself lucky if you have these three genetic facial features that will guarantee you’ll look younger longer.